Halo: Reach is a gaming anomaly. The latest game in the Halo series, it is nevertheless set prior to the events of its predecessors. The events depicted in Reach's single player campaign set the stage for the events depicted in the first game's story. Gameplay and technology-wise, Reach benefits from the decade of FPS evolution since the release of Combat Evolved. 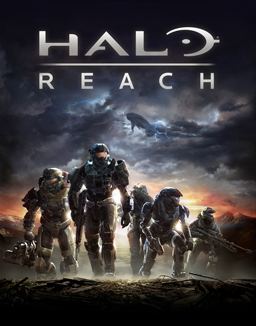 In both the single-player campaign and multiplayer matches, Reach's fluid visuals and mechanics reach the apex of shooter design, easily making it the best entry in the franchise, if not the best shooter released this year. Story-wise, Reach delivers a knockout by bringing the Halo epic to a close while illuminating its beginnings. Players know what's in store from the very opening scene and yet hope that somehow the ultimate fate of Reach's protagonist can be avoided. That the player ultimately can't change history makes Reach one of the most poignant games of 2010 and charts new territory for typically bombastic, machismo shooters.